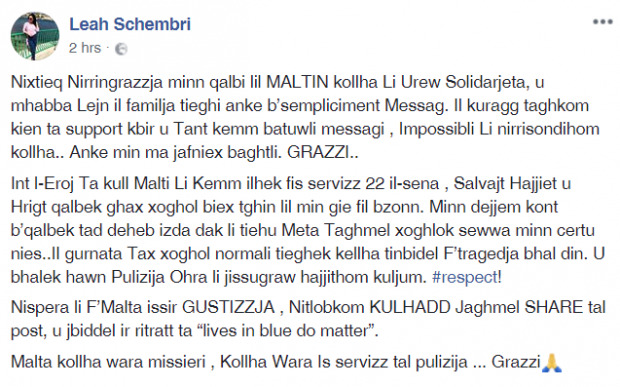 A relative of Simon Schembri, the traffic policeman who was grievously injured in Tuesday's hit-and-run in Luqa, has described how the officer was left on the road 'like a dog' while the young driver who ran him over drove off. 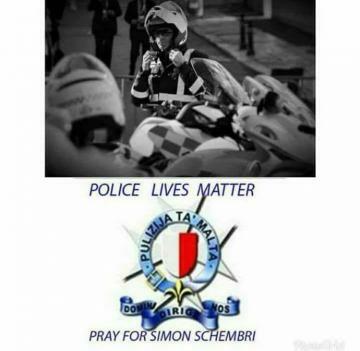 Joe Azzopardi, a retired public officer, also described in a Facebook post how PC Schembri was an exemplary police officer who, some years ago, assisted a pregnant woman who was stuck in traffic, helping her get to hospital on time. Five years ago, while he was off duty and in plain clothes he noticed a robbery in progress, chased the thief and arrested him. On Tuesday, Mr Azzopardi said, PC Schembri stopped the silver Mercedes which the young driver was driving, because he was not wearing a seat belt and was evidently too young (to be driving). As he was about to note vehicle licence details, the young driver slammed on the accelerator and drove forward with the policeman on the car's bonnet. The officer then slipped down from the car and the young driver drove on for a further 400 metres with the officer trapped underneath. As the youngster was about to turn into a side road the policeman was freed from the car. But the driver reversed onto him and then sped offuntil he was arrested by the RIU (Rapid Intervention Unit). 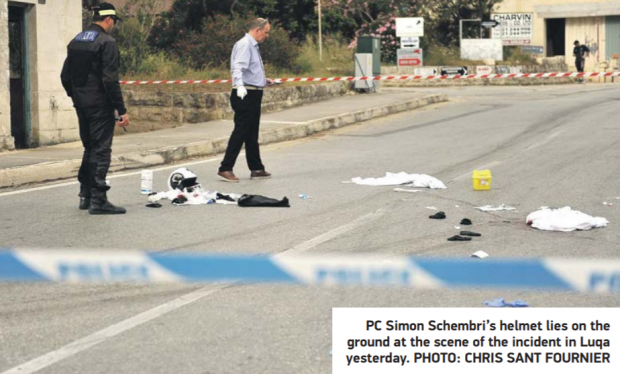 "He left Simon on the road half dead, like a dog'," Mr Azzopardi said. In hospital, he underwent four hours of surgery for broken ribs and a punctured lung. When he was stabilised, one of his hands was amputated. "He is still in ITU. His family - a wife and three children are outside - uncertain if Simon will live." Mr Azzopardi told Times of Malta that the officer's condition this morning was still critical, but stable.